Often when I'm not sure what books I want to read, I turn to my twitter followers for recommendations. Here are a few I read in January. One Day by David Nicholls was recommended by Mandy (who actually read it after Alicia suggested it). It follows best friends, Dexter and Emma, who are an unlikely pair. Dexter is a bit of a libertine, while Emma leads a rather dull, uninteresting life. I found most parts of it unrealistic, but it makes a fun romance - with a somewhat bitter-sweet ending. Just don't watch the movie. It was awful. My friend, Sabrina, suggested books by Haruki Murakami. Norweigan Wood is told from the perspective of Toru Watanabe, a very average student living an average life. The book touches on the effects of suicide on those who are still alive and the idea of sanity. The two female characters, Naoko, and Midori perfectly contrast each other - one is quiet and withdrawn while the other is bubbly and infectiously energetic. However, I was very frustrated by Watanabe's refusal to act upon... well, anything, really. He seems to simply drift through life, then complain and mope when things don't look favourable. I prefer the characters in 1Q84, who are actively searching for one another (believing in a special connection that occurred in their childhoods). Aomame and Tengo find themselves in an alternate universe, where various events happen that they do not quite understand. My favourite character is the mysterious Fuka-Eri, and while I'm still not sure I understood everything that happened, the novel challenges the reader to expand his or her imagination. 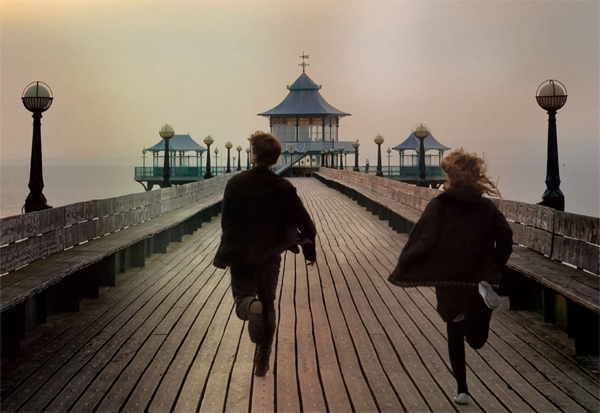 Never Let Me Go by Kazuo Ishiguro was recommended by a co-worker who watched the movie. I watched the movie afterward, and it followed the book fairly well. The story takes place in a world where clones are created and raised for the sole purpose of providing humans with healthy vital organs. Three friends, Ruth, Kathy and Tommy, grow up in a special school for such clones. The novel explores how society may view clones if science make it possible someday. The ending leaves a feeling of dissatisfaction toward the characters' acceptance of their situation, proving that the author succeeds in creating an emotional connection between the characters and the reader. I am finally starting to read The Girl with the Dragon Tattoo by Stieg Larsson, after watching both the original Swedish film, and the newly released American version. It will be interesting to read the characters' reactions and thoughts. Are there any other lit nerds out there who would like to recommend some good reads? What have you been reading recently that you greatly enjoyed? YES. The Girl with the Dragon Tattoo. Such a great book. I'm pages away from completing the second book. Have you read Infidel? That is an amazing story. AMAZING. Nice! I still haven't started yet because I've been rereading the Night Circus, which is so, so amazing. And I have not! I'll have to check it out. i've had girl with the dragon tattoo on my dresser for months...but i have so many others in queue! getting started on Live Wire by harlan coben.